CONDITION REPORT: The dial is mint and the luminous material is intact with only a slight aging to a cream color patina. The hands are original and the tritium is intact. The '220' bezel is original and in excellent condition without any visible damage. NOTES: This watch was delivered to Switzerland in fall of 1970 according to the Omega Museum. 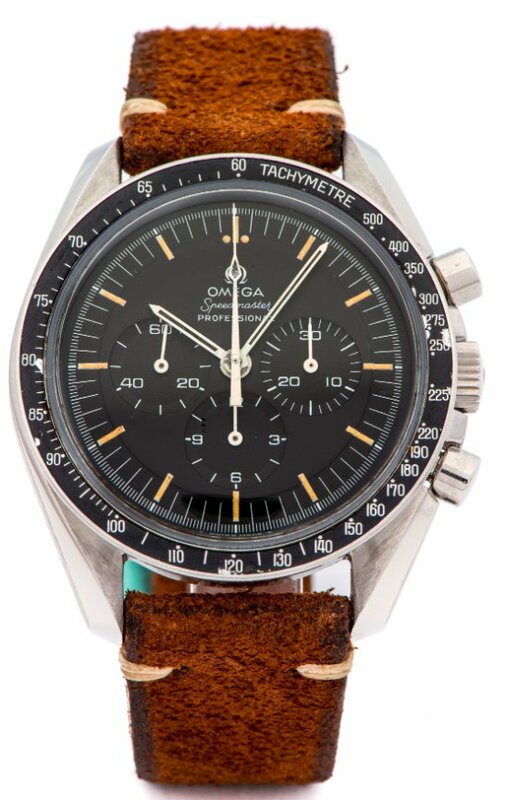 This is the correct time period for the misprinted '220' tachymeter bezel.